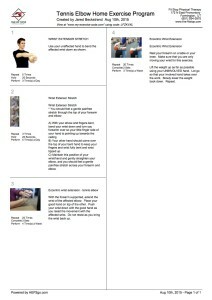 PART 2 – What are the best home exercises for tennis elbow pain? WHAT IS TENNIS ELBOW AND WHY DO YOU GET IT? As discussed in this previous post, tennis elbow can put a damper on even the most routine of activities. It happens to everyone – from weightlifters and tennis players to receptionists and at-home mothers, I have had many patients seeking treatment from us at the Fit Stop because that nagging elbow pain just won’t get better. 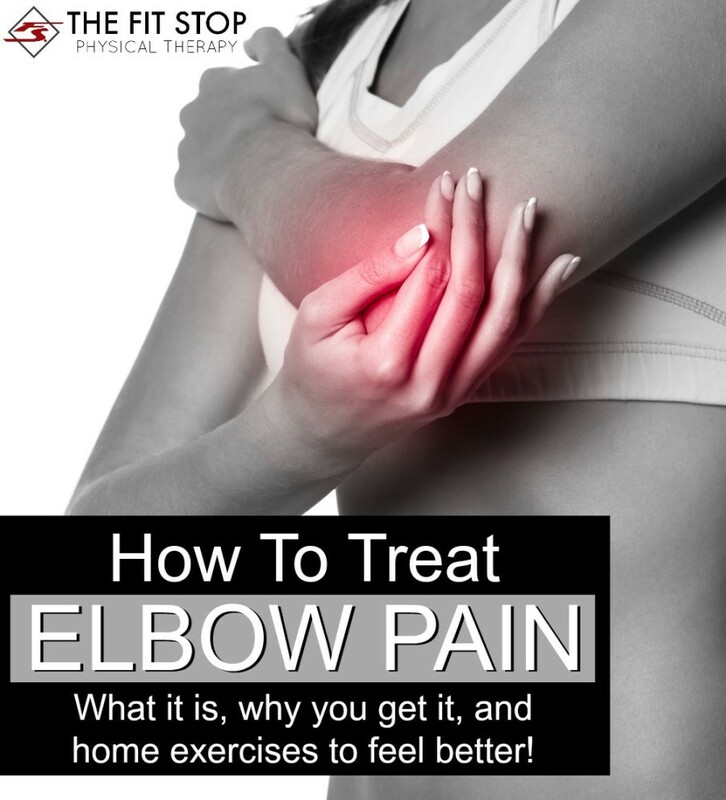 I have even had patients that need treatment following surgical procedures to try try and fix their elbow pain. Most of the time the surgeries performed are successful, but there is always increased risk with surgery. Why not give the conservative approach a try before considering going under the knife? Please keep in mind that exercises 3-4 should be performed when your pain has reduced considerably, and usually for the stubborn tennis elbow cases, PT is required for a period 2-4 weeks to facilitate this improvement.. Also, these exercises can be tricky to perform just right, so if you have any questions, stop by or call any time.